On numerous occasions here and elsewhere I have cited the enormous influence that Virginia Postrel’s 1998 book, The Future and Its Enemies, has had on me. Her “dynamist” versus “stasis” paradigm helps us frame and better understand almost all debates about technological progress. I cannot recommend that book highly enough. 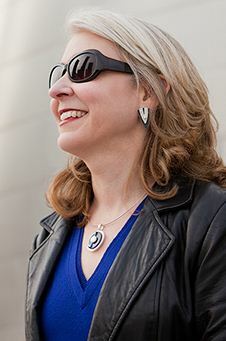 In her latest Wall Street Journal column, Postrel considers what makes the iPad such a “magical” device and in doing so, she takes on the logical set forth in Jonathan Zittrain 2009 book, The Future of the Internet and How to Stop It, although she doesn’t cite the book by name in her column. You will recall that in that book and his subsequent essays, Prof. Zittrain made Steve Jobs and his iPhone out to be the great enemy of digital innovation — at least as Zittrain defined it. How did Zittrain reach this astonishing conclusion and manage to turn Jobs into a pariah and his devices into the supposed enemy of innovation? It came down to “generativity,” Zittrain said, by which he meant technologies or networks that invite or allow tinkering and all sorts of creative uses. Zittrain worships general-purpose personal computers and the traditional “best efforts” Internet. By contrast, he decried “sterile, tethered” digital “appliances” like the iPhone, which he claimed limited generativity and innovation, mostly because of their generally closed architecture. A closed box offends geeks’ tinkering impulse, which demands swappable components and visible source code. But most of us aren’t looking to hack our own computers. In fact, the very characteristics that empower enthusiasts tend to frustrate and infantilize ordinary users, making them dependent on the occult knowledge of experts. The techies who so often dismiss Apple products as toys take understandable pride in their own knowledge. They go wrong in expecting everyone to share the same expertise. Even the “maker ethic” of do-it-yourself hobbyists depends on having the right ingredients and tools, from computers, lasers and video cameras to plywood, snaps and glue. Extraordinarily rare even among the most accomplished seamstresses, chefs and carpenters are those who spin their own fibers, thresh their own wheat or trim their own lumber—all once common skills. Rarer still is the Linux hacker who makes his own chips. Who among us can reproduce from scratch every component of a pencil or a pencil skirt? We don’t notice their magic—or the wonder of electricity or eyeglasses, anesthesia or aspirin—only because we’re used to them. Why can’t we all just get along? Isn’t it a sign of progress that we now have different models that appeal to different types of users? After all, those supposedly “sterile” applications like the iPhone and Tivo are loved by millions. Even calling them “sterile” seems a bit silly to me. After all, those devices have “fostered innovation and disruption” just like PCs and the Net have, just in a different way. Regardless, does Jonathan think all those people would really be better off if they were forced to fend for themselves with completely open iPhones and TiVos? Should the iPhone be shipped to market with no apps loaded on the main screen, forcing everyone to get them for on their own? Should TiVos have no interactive menus out-of-the-box, forcing you to go online and find some homebrew that someone whipped up to give you an open source guide in all its blocky ugliness? I fear that Jonathan has spent a little too much time in the ivory tower surrounded by countless people like me who are almost part cyborg in that they use so much technology that they are practically at one with their devices. (If I don’t have a laptop in my backpack and a mobile phone in my pocket I start to experience phantom pains, like I am missing appendages). If one finds themselves stuck in an echo chamber with enough of these other cyborg-humans, they can start to fear the consequences of what might happen when the mere mortals start walking in the front door and asking asinine questions about how to boot up their devices or log on to certain websites. But we have nothing to fear from these aliens. They can have their closed systems and we can have our open systems. We can tinker; they can just play with what they are given. We can be highly interactive cyber-goobers; they can be utterly passive couch potatoes. And so on. Of course, there are many other reasons to question the Zittrain thesis and the other gloomy theories set forth by the group of scholars I have called “Openness Evangelicals.” As I pointed out in my recent book chapter making “The Case for Internet Optimism, Part 2 — Saving the Net from Its Supporters,” despite all the cyber-Chicken Little-ism coming out of the Ivory Tower these days about the supposed death of “openness,” the reality is that things have never been more open, innovative, or “generative” than they are right now. Previous post: A Vision of (Regulatory) Things to Come for Twitter?